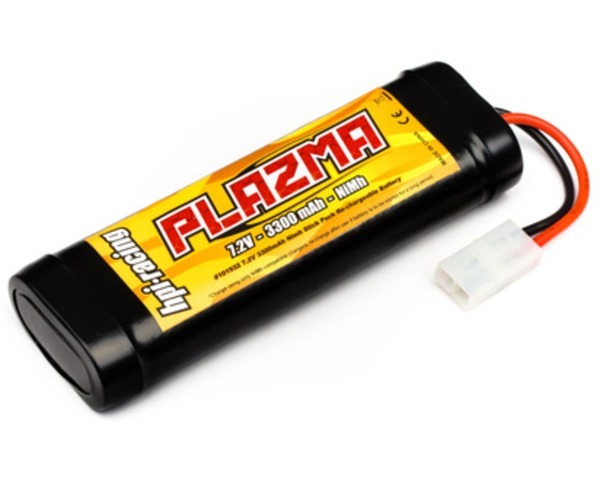 The HPI Plazma 7.2V 3300mAh battery pack features durable and reliable rechargeable Nickel-Metal Hydride battery cells. It's pre-assembled with a plug installed, making it a quick and easy way to power cars like the E10, Brama 10B and Formula Ten. The standard rounded stick pack configuration makes it a universal fit in many electric-powered vehicles and battery-powered accessories like the HPI Roto Start.